This year we have had much colder winter than usual. In Hokkaido islands which lie from 41 degree to 45 degree north latitude, it is still snowing furiously. Strong cold wave has attacked all over the world. However it is fine in Tokyo and plum trees are in full bloom. Continuously peach and cherry blossoms will follow. We can enjoy beautiful three shrub flowers continuously and it is best time for Japanese who have been waiting for spring to come. Sunshine is getting stronger and days are getting longer. Birds like nightingales start singing spring songs. It is March third today which is girl’s festival day. 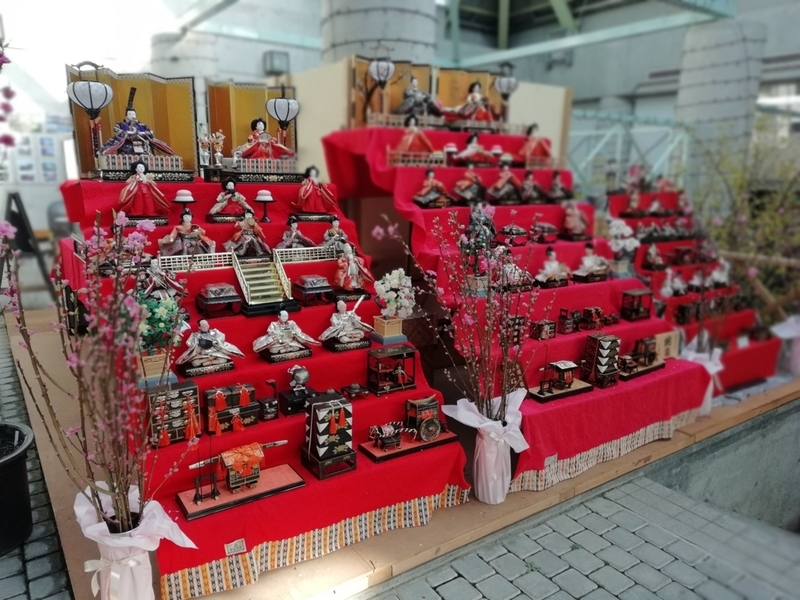 It is traditional custom to cerebrate girl’s healthy grownup with peach flower, traditional dolls and delicious cakes. Peach symbolizes energy to live or zest for love. And sometime peach means utopia.Peach is probably the best flower for girl’s festival. traditional dolls with peach flowers.